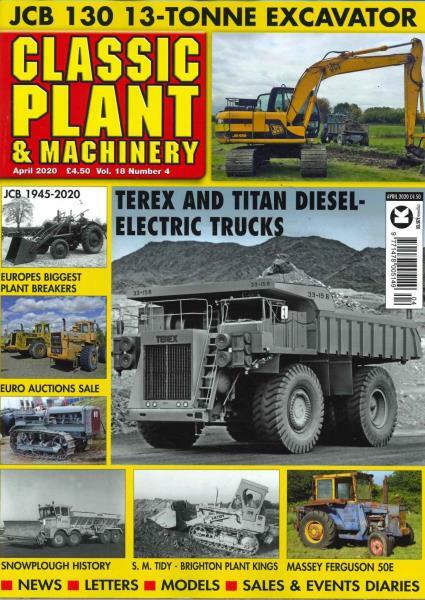 Classic Plant & Machinery is a monthly magazine aimed at devoted enthusiasts of classic industrial vehicles and machinery with a focus on vintage construction, mining and ancillary equipment. Buy a single copy or subscription to Classic Plant & Machinery magazine. Followed by £43.09 over 12 months by direct debit. Written by experts with many years of experience, this magazine is full of informative and in-depth articles covering every aspect of the hobby. The magazine features a variety of equipment including forklifts, skid steer and wheeled loaders, tracked bulldozers, excavators and many more. Each issue contains all the latest news, information on auctions around the UK, events and sales, and letters from readers. A great read for anyone interested in either the history or the process of restoring these slumbering iron behemoths to their former magnificence.